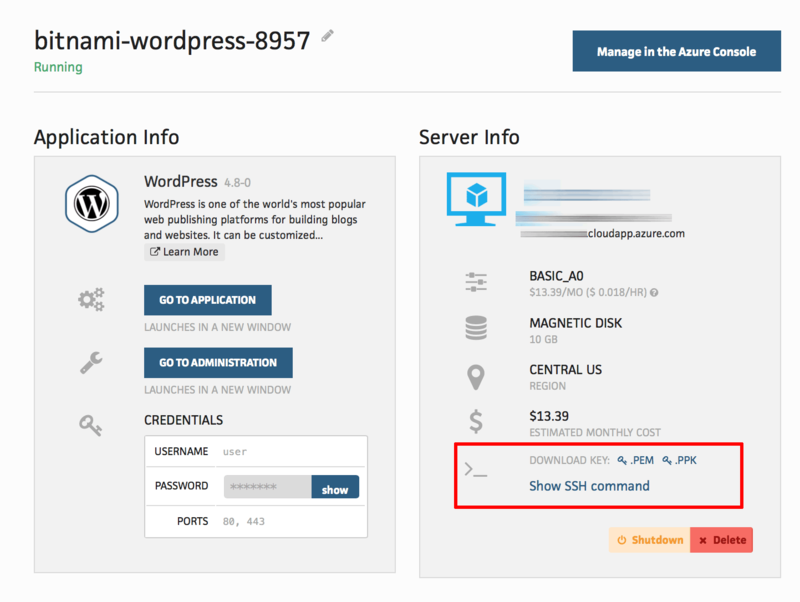 Browse to the Bitnami Launchpad for Microsoft Azure and sign in if required using your Bitnami account. 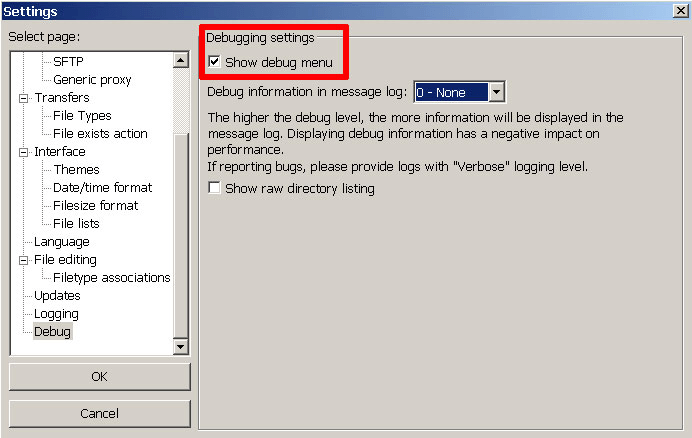 Note the server IP address and SSH credentials on the resulting page. 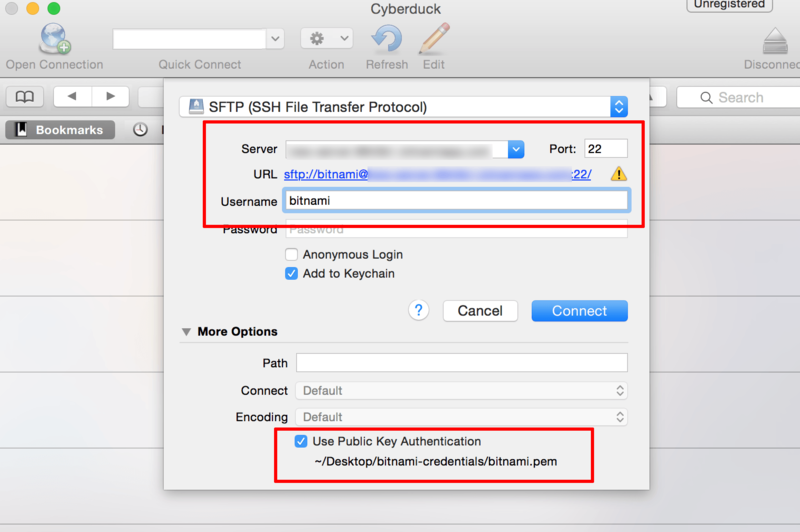 Your server may have been deployed using either an SSH password or an SSH key. 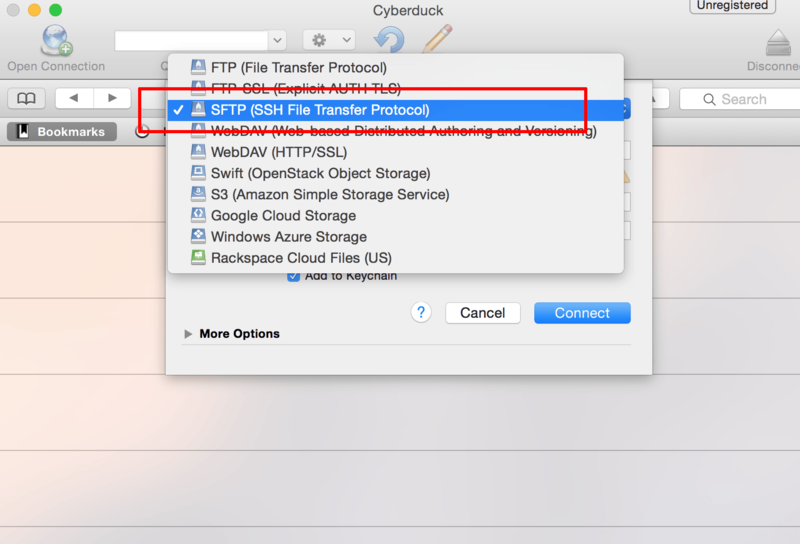 Once you have your server’s SSH credentials, choose your preferred application and follow the steps below to connect to the server using SFTP. 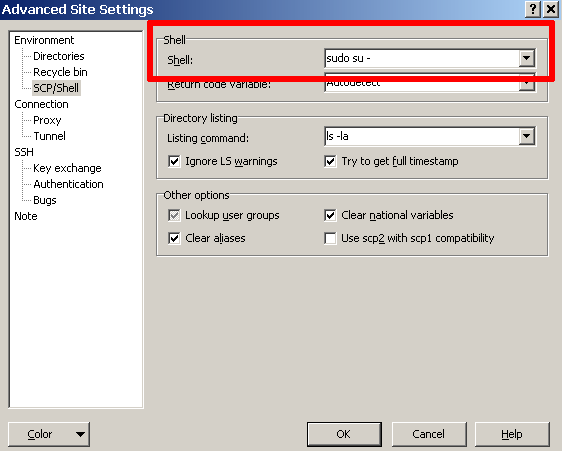 Launch FileZilla and use the “File -> Site Manager -> New Site” command to bring up the FileZilla Site Manager, where you can set up a connection to your server. Enter your server host name. 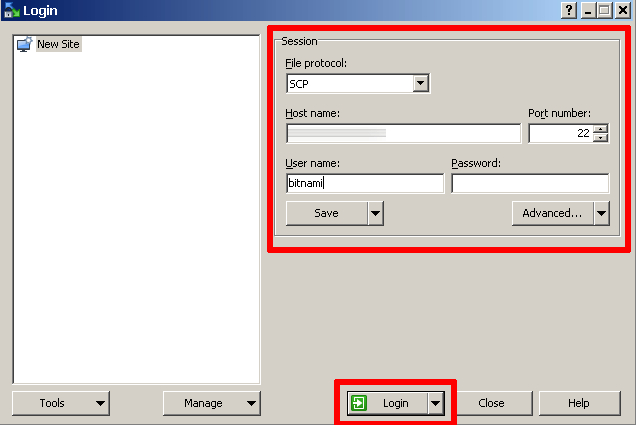 Select “SFTP” as the protocol and “Ask for password” as the logon type. 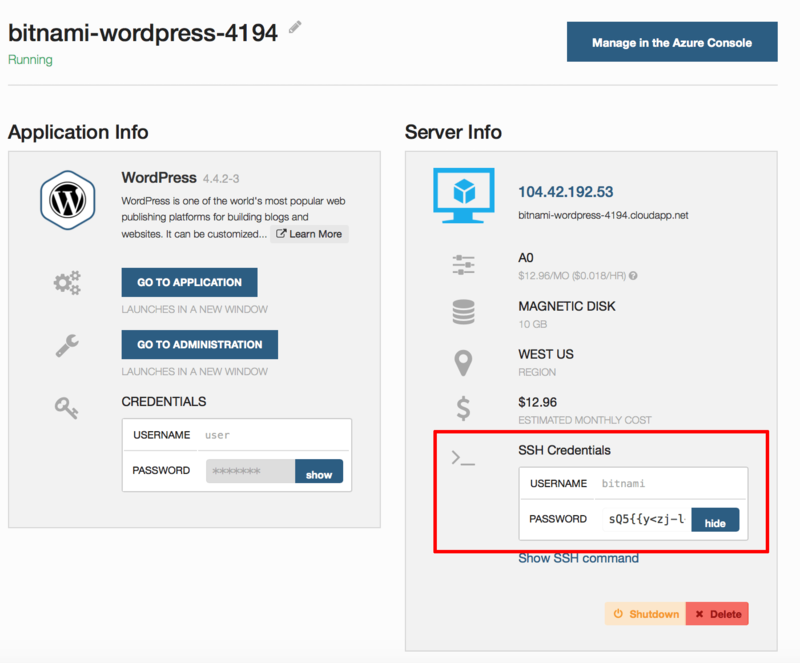 Use bitnami as the server username and the password generated during the server deployment process. 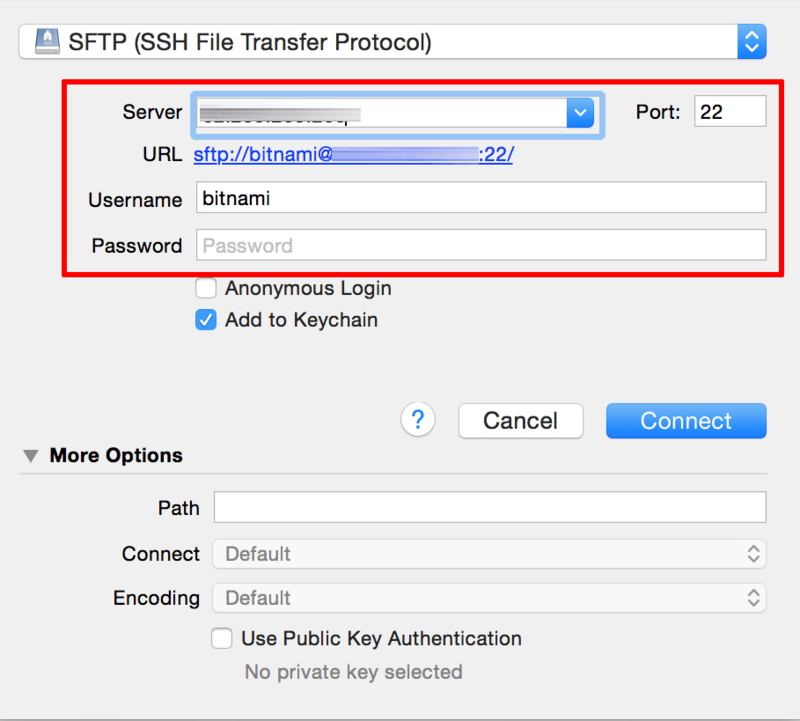 Enter your server host name and set bitnami as the server username. 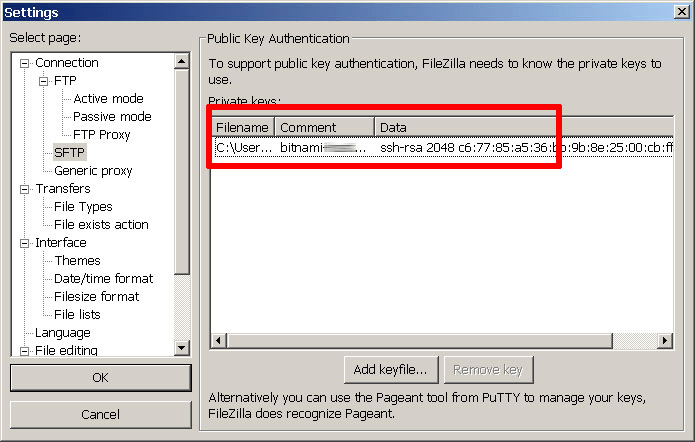 Enter the corresponding password as well. 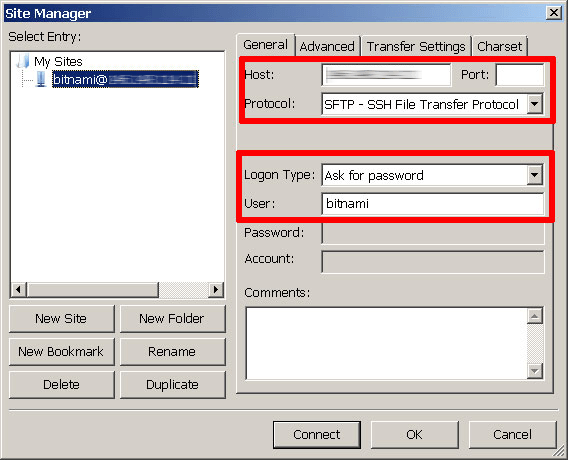 In the connection details panel, enter the server IP address, bitnami as the username, and the password generated during the deployment process.